GirlsRockNL empowers girls and gender non-conforming youth to rock out in all aspects of their lives! We operate an annual summer rock camp in St. John’s, Newfoundland. Our mission is for youth in Newfoundland and Labrador to rock out in all aspects of their lives! 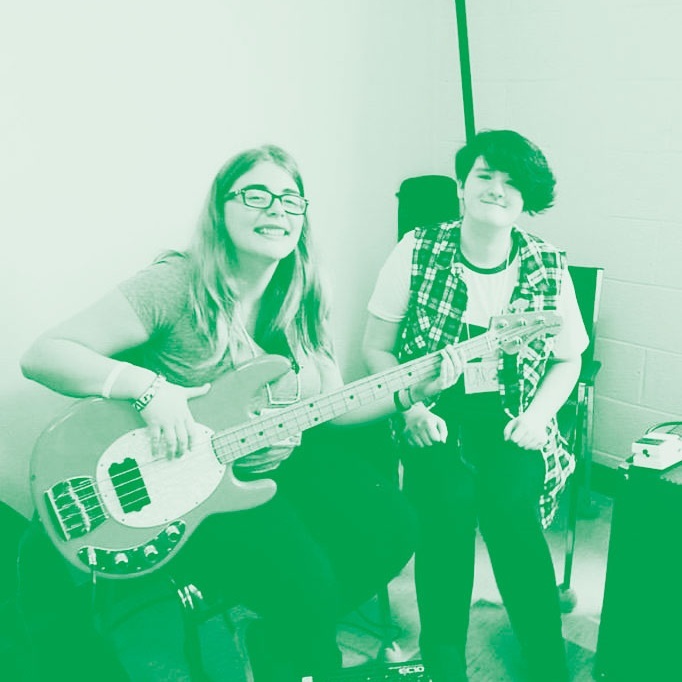 Girls Rock NL aims to empower girls and gender non-conforming youth through rock music! We strive towards building a supportive and inclusive community through an annual week-long summer camp that focuses on learning new things, inspiring creativity, fostering self-esteem and making new friends. Our goal is to provide accessible opportunities for girls and gender non-conforming youth to learn, explore, and grow through musical expression and education. Founded in 2016, Girls Rock NL is a volunteer run, non-profit organization in St. John’s, NL. We offer a week-long rock camp in July for girls and gender non-conforming youth. Campers join a band, learn an instrument, attend workshop and lunchtime concerts, and rock out on stage at the end of the week. Girls Rock NL fosters confidence, leadership, creativity, critical thinking, and collaboration through music and performance empowering self-identified girls, gender non-conforming youth, and womxn, while encouraging a more diverse and inclusive city. 4) Building partnerships within our community, throughout the province, and with other Girls Rock Camps worldwide. Our dream is for Girls Rock NL to maintain a sustainable annual summer camp and build a long-term network of campers, staff, community members, and stakeholders interested in the empowerment and musical leadership of girls and gender non-conforming youth throughout our province. In 2016, a group of local musicians and artists founded Girls Rock NL after observing a lack of womxn-identified musicians on stage at music festivals in St. John’s. The desire to see more diverse representation in our local arts scene, and the hope that creating a welcoming space and fostering mentorship would encourage positive change, founded GRNL. Our board of directors, as well as an overwhelming community of volunteers, sponsors and partners work year-round to help make camp happen, from organizational planning, fundraising, programming to community partnership.